We don’t know where you are in your faith walk, but we understand that questions are worth answering. 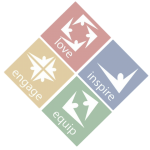 While it’s impossible to address every question you might have, we hope this overview will at least provide a start and give you a flavor of what we believe at Zion Lutheran Church, Decatur, Indiana. Everything Lutherans believe comes from the Bible, God’s message of love and hope for all people. The Bible is the written Word of God, handed down to us in order to point us to the truth that we are saved from our sin and eternal death by the life, death, and resurrection of Jesus Christ. 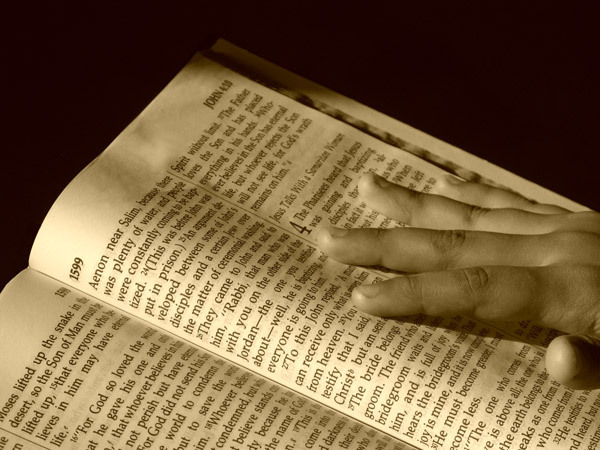 We believe that the Bible is completely reliable and without error. In it, we learn everything we need to know about God’s love and His gifts to us. God, the Father, is our maker and the creator of all things. By the Father’s word, all things were made, and we are His most beloved creation; we are closest to His heart. The Son is Jesus Christ, who came to earth as the perfect “go-between” between God and humanity. He has redeemed us and is the voice to the Father on our behalf. The Holy Spirit calls us to believe in Jesus Christ as our Savior, keeps us in the one true faith, and equips us for living out our faith. He is the whisper in our heart’s ear. We all fall short of God’s expectations because we are all born “sinful” — and we aren’t talking about “sinfully” rich desserts, we’re talking about the serious side of sin. Sin can be summed up as all the things we say, think, do, and don’t do, that fall outside of God’s holy will for our lives and end up separating us from God. Sin was brought into the world when Satan lured the first people God created (Adam and Eve) into temptation through their own free will and weakness, breaking the perfect relationship between God and us. From that point on, sin became part of our very existence. Because God also demands perfect obedience, our ultimate punishment became death. Yet God is a loving God whose will is not for us to live in eternal punishment. That’s why He sent His Son, Jesus Christ, to live the perfect life He requires and to become our substitute. Christ never sinned — not even once — and then He took our sin upon Himself and died on the cross, on our behalf. When we believe in Jesus Christ as our Savior, He bears our sin and gives us His forgiveness. God has provided tangible ways through which He delivers His grace to those who believe, assuring us that the sins we commit are forgiven for Jesus’ sake. These are called the “means of grace” and are God’s Word, holy Baptism, and the Lord’s Supper (Holy Communion). Through these means, God makes Himself known to us in a very personal way: God’s Word reveals His faithfulness and love; Baptism is our rebirth and renewal in Jesus; the Lord’s Supper is our closest communion with Christ as we receive His body and blood. Want to Know More . . . . The Lutheran Church—Missouri Synod features information on Lutheran Belief & Practice online at www.lcms.org, including Lutheran Confessions, Doctrine, and a Christian Cyclopedia. This site also includes a Frequently Asked Questions section with FAQs on Denominational Differences, The Bible, Moral and Ethical Issues, LCMS Views, Doctrinal Issues, and Worship/Congregational Life.